So... I went a little crazy at Target when I found these marked down to 10 cents each at the Back to School clearance markdowns back in September. 10 cents!?!?! What?!!?!? Surely I would find a use for them. I love, love, love the REAL POST IT BRAND post-its. So much better and stickier than the generic ones. I think I bought about 40 packages and I wish I would have bought more. There were TONS! I had texted all of my crazy teaching friends and the other Targets in our same city didn't have any. I had also posted on Instagram to share with even more crazy teachers! Nobody else seemed to find the same great deal as I did! You can imagine my excitement when I scanned these at the price check scanner! 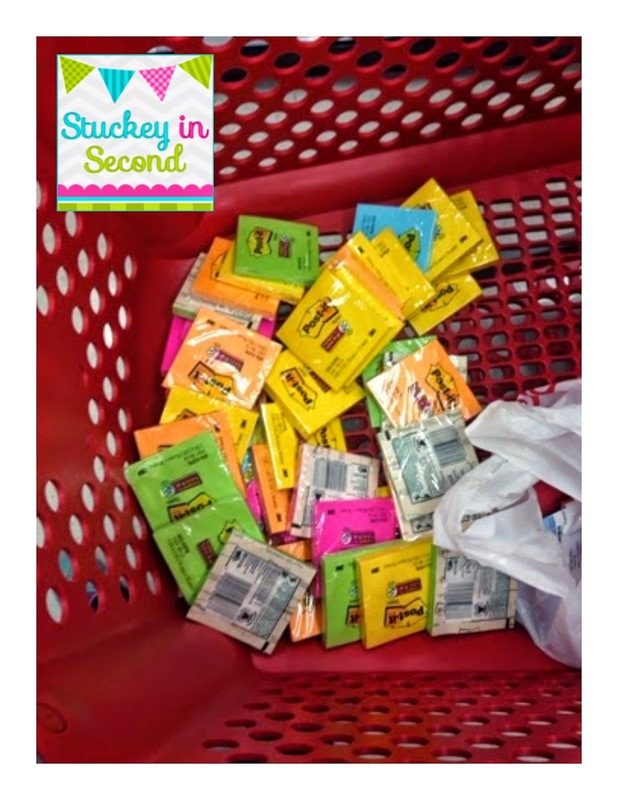 What do I need 40 packages of sticky notes for? Well, I gave each student one package. They were super excited. 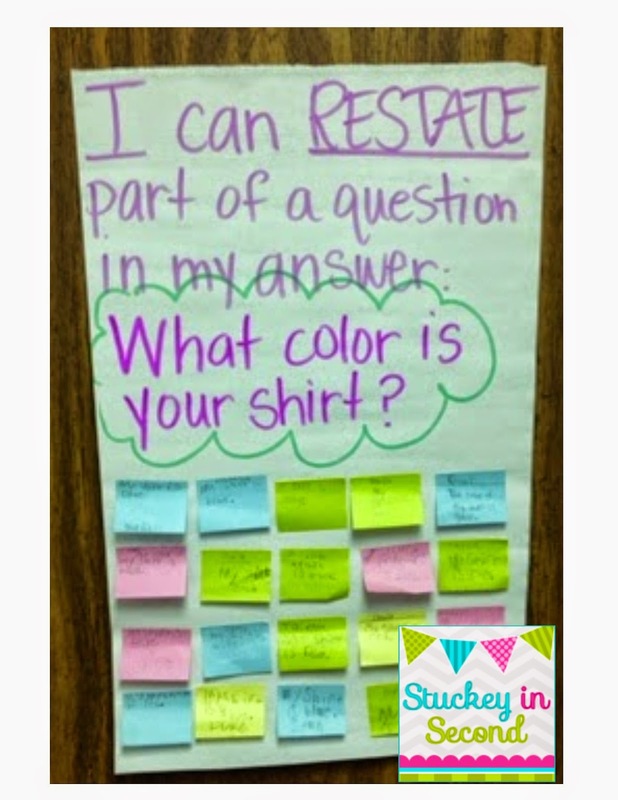 We use them for a quick "Check for Understanding" after many reading and math lessons. I have taken some pictures of examples below. 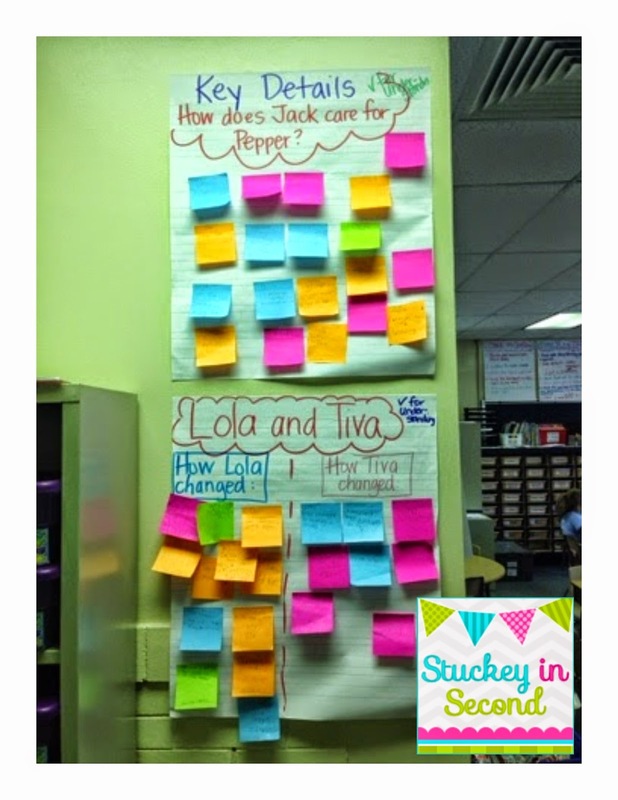 We have also practiced using our Post-its to record our thinking. 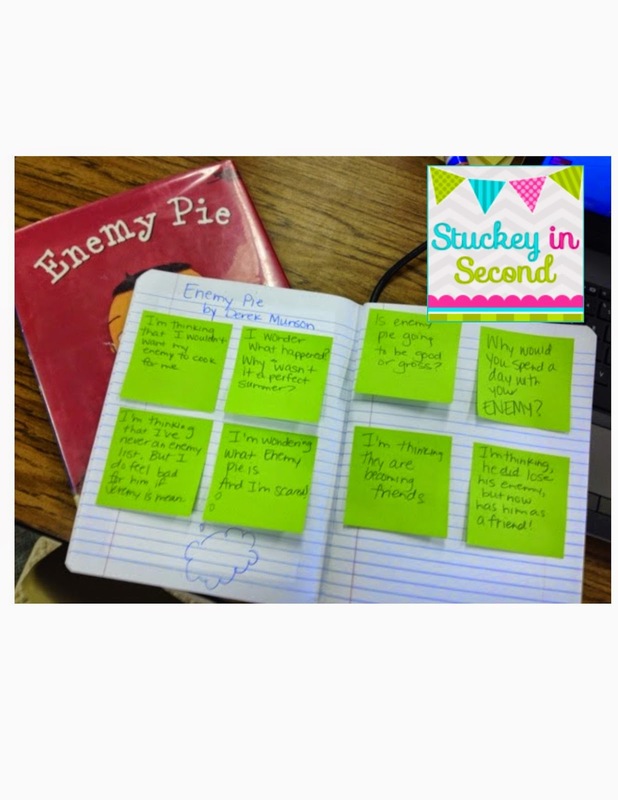 I modeled how to think while reading for Enemy Pie and then recorded my thinking on the Post-its to show the students. 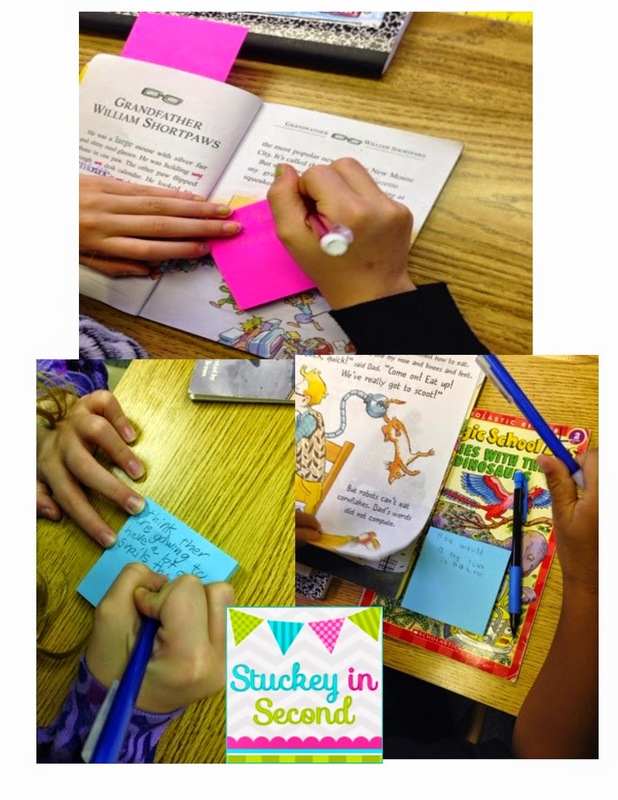 I first stuck the stickies into the book as I was going, then later, when I had to return the book (same as what the kids would have to do), I took them out and stuck them into my reading journal to document the thinking I had while reading this book. Spring Blogger Meetup is Coming!